As you can see from the image below the items are in restored state by default. 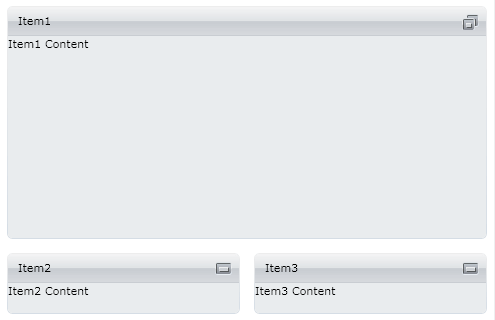 To set an item in maximized state you can use the TileState property and set its value to Maximized. As you can see from the image below Item1 is now in maximized state.